Posted on July 24, 2017	by Blowhard, Esq. A notable movie if only for the attitudes and assumptions it embodies. Released in the late 40s, it’s a social problem film about illegal immigration shot like a Mexican noir by cinematographer John Alton. 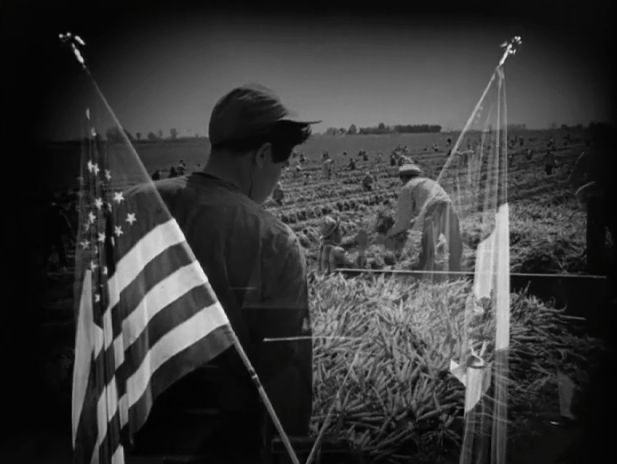 Director Anthony Mann, who takes a quasi-documentary approach to the material, lays out the problem in the opening narration: California’s Imperial Valley farms depend on Mexican field labor to operate efficiently, labor that’s carefully regulated by both the Mexican and United States governments. However, some Mexican laborers are so desperate for work that they cross the border illegally without the proper documentation, where they fall prey to unscrupulous American businessmen who don’t pay them a fair wage and Mexican bandits who rob, and sometimes kill, the workers as they cross the border. The Mexican and United States governments recognize their shared interest in stopping the illegals, so each sends agents undercover to infiltrate the smuggling network. 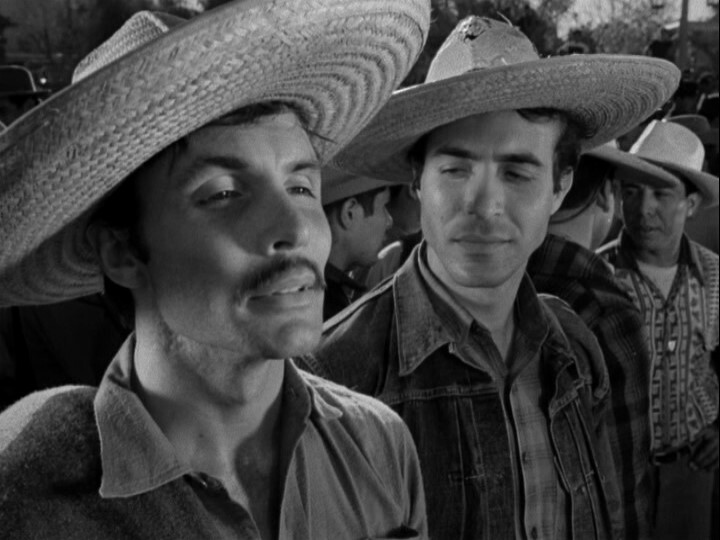 The Mexican agent, played by a young Ricardo Montalban, pretends to be laborer while the American agent, played by George Murphy, pretends to be thief looking to sell stolen immigration cards. 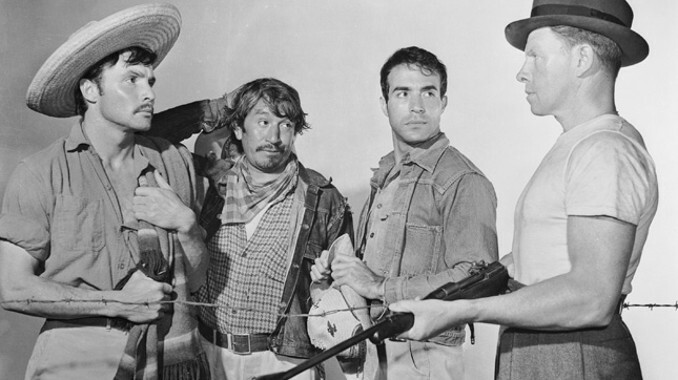 Throughout the movie the Mexican and United States governments — “those two great republics,” the film tells us — are portrayed as complete equals while the illegal immigrants themselves are portrayed sympathetically. At worst, the laborers are foolish and a bit naive because they don’t realize that, even if they get work, they’ll be taken advantage of by the unscrupulous American employers who will pay them 2/3 less than documented immigrants. The fat American landowner who traffics in the illegal labor, played by Howard Da Silva, is the real villain in the story. The film ends with the American agent dead, run over by a tractor in the middle of a lettuce field while sacrificing himself on behalf of laborers, while the Mexican agent receives a medal for his part in bringing the wrongdoers to justice. Has Steve Sailer seen this movie? Border Incident is currently streaming on FilmStruck. This entry was posted in Movies and tagged Anthony Mann, immigration, John Alton, Mexico, noir, Ricardo Montalban. Bookmark the permalink. Funny how the exploitation revealed in this film is now the widely accepted norm. Not only the norm, but the morally righteous norm.